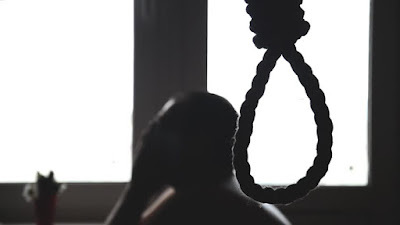 A JOBLESS SCHOOL LEAVER COMMITS SUICIDE. From all home and abroad researches,over 80% of suicide committers are people from black race. What are we saying? Are blacks the most frustrated humans on earth? What would ever make someone to take his or her own life in this whole wide world? Okay,we know and we understand that life in this world can be hard. It can bring tears and pains ,but it is something we all share as one,living in the same home. Needless to say however that frustration,disappointment and shame can make someone want to take his own life. However,here are the reasons why there are no excuses for committing suicide. Let's start with one of the reasons why people commit suicide-frustration. For example a young man,of about 25 year-old by the name Chigozie Igwe committed suicide by hanging himself in his family home at Umuofor, Umumumo community in Ehime Mbano Local Council of Imo State.His reason? Because,he was jobless. Please ask Mr. Chigozie Igwe if he is the only person in his community who is jobless. He failed to see with his own eyes,people who do not have opportunity to go to school let alone being employable tomorrow.